This is a list of the publications produced in 2016 (the most recent items are listed first). December 2016: This report discusses the 2016 audit findings of, and the opinion we issued for, the financial statements of the Government. For the first time this year, we have included “key audit matters” in our audit report on the financial statements of the Government. Reporting on key audit matters is a new requirement for selected entities under a new international auditing standard. We decided to apply this standard to the audit of the Government’s 2015/16 financial statements because we considered this to be of use to the readers of these accounts. We have produced what we believe is the world’s first audit report on government financial statements to include a section on key audit matters. November 2016: This report presents the overall results of our own assessment using the Supreme Audit Institution Performance Measurement Framework. Both this and the detailed report have been peer reviewed by the INTOSAI Development Initiative. The assessment has identified strengths in the Office's operating environment, audit work, and management, as well as areas for further attention. November 2016: This report presents in detail the overall results of our own assessment using the the Supreme Audit Institution Performance Measurement Framework. The assessment has identified strengths in the Office's operating environment, audit work, and management, as well as areas for further attention. October 2016: We reviewed the history of why payments were made, the actions of New Zealand ministers and officials, the arrangements that the payments related to, and what has been achieved. October 2016: This follow-up article describes the progress that Watercare has made in response to our 2014 recommendations. September 2016: This follow-up article describes the Department's progress in responding to the recommendations we made in our December 2013 report. 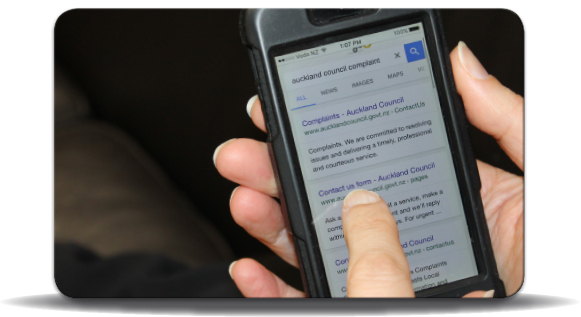 August 2016: As part of our periodic reviews of the Council's service performance, we audited the Council's complaints-handling process. Overall, the Council has a focus on resolving complaints, and most are dealt with in a timely manner. But it could do better in some aspects – in particular, collecting information from the complainant's perspective. June 2016: Most companies in the energy sector, such as electricity distribution businesses, are monopolies and are subject to regulation. We are often told that the regulations are complex and require significant effort to ensure staff understand the detail of the regulations. It is also important that auditors have a good understanding of the regulations. Some electricity distribution businesses have made, or are planning to make, investments seeking revenue from sources beyond their core business, for example investment in telecommunications fibre networks and commercial property. The governors of these businesses need to be cautious and undertake appropriate due diligence so they fully understand the risks of their potential investments.